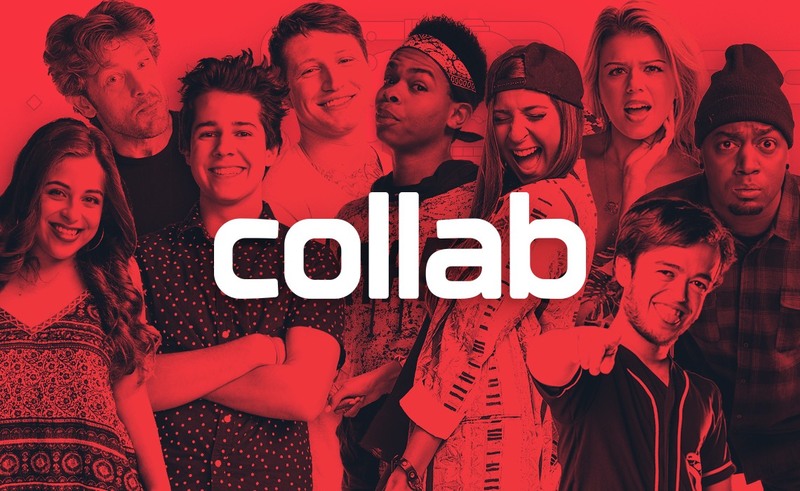 In 2013, when most multi-channel networks were focused on the YouTube ecosphere, a Los Angeles-based upstart called Collab had its sights set firmly on Vine. Founded by the fraternal pack of Tyler, James, and Will McFadden — themselves a digital comedy trio — the brothers saw an untapped opportunity: No ad infrastructure yet existed on Vine, and copyright violation was rampant, with random users porting highly-viewed Vines onto YouTube and monetizing them there. The McFaddens, who had formerly operated a comedy channel on YouTube called GoPotatoTV (anyone remember Eli’s Dirty Jokes? ), had once experienced the same kind of piracy. So, Collab was conceived with a simple purpose to help early Vine stars like Eric Dunn, Brittany Furlan, and Amanda Cerny pocket their rightful due. Tyler, who serves as co-CEO of Collab alongside James (Will is the company’s chief creative officer) says YouTube’s Content ID system didn’t then and doesn’t always now recognize videos that are six seconds long. Consequently, Collab developed proprietary rights technology and payment software — and soon hired a slew of manual claimers — so its clients producing six-second clips could be compensated for their pirated works. To amplify these monetization opportunities, Collab launched 60 of its owned-and-operated YouTube channels — including Dumb Genius (2.9 million subscribers) and Funny Vines (1.6 million) — where it showcased and continues to feature a lot of its clients’ content. What started out as a way to ensure burgeoning creative stars got paid for their Vine videos has since become a very big business with 90 employees working out of offices around the world. All told, McFadden says Collab paid out a whopping $25 million to its network of creators and rightsholder partners last year. And globally, Collab’s creators count 650 million followers who drum up 3.5 billion monthly YouTube views — 60% of which are derived from claimed content, 25% from talent channels, and 15% from the company’s own syndication network. For nascent influencers, early payouts on rights earnings was life-changing. Social comedian Marlon Webb, who signed with Collab in 2014 after one of his Vines went viral, said that his first licensing checks enabled him to move from Boston to Los Angeles to pursue his dream of acting. At the apex of his popularity on Vine in 2015 and 2016, Webb says he was making as much as $10,000 per month via claims alone. Rights management remains Collab’s bread and butter, but the company’s capabilities have expanded beyond its founding mission. Roughly 70% of Vine’s top creators — including King Bach, Amanda Cerny, David Dobrik, Gabbie Hanna, and the Eh Bee Family — joined Collab amid a meteoric rise on the platform that quickly collapsed under its own success and inability to facilitate payment to its top talent. Collab encouraged those creators to diversify, helping them gain momentum, traction, and revenue streams outside of the six-second video app that made them famous. On YouTube, for instance, Collab provides creators with photoshoots and other graphic design services to helm their channel art. It also handles back-end ops, video metadata, and works with brands and agencies directly on behalf of talent to source partnership deals. Additionally, the company helps creators field brand deals and hosts acting and improv classes — a critical tool, Webb notes, given that many YouTube videos are improvised. One of the ways Collab is able to so successfully add that value to creators is because it doesn’t have a ton of them. Defying the online video industry’s previous conventional wisdom that more was more, the McFaddens didn’t want to compete in a game of massive numbers. 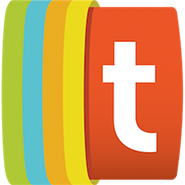 “Our model was never about aggregating tens of thousands of channels,” McFadden says. “We always intended to design a company that would serve the needs of hundreds of top indie creators.” To that end, the network has a streamlined portfolio that’s currently about 400 names long. It’s size isn’t the only thing sets Collab apart from competing networks with perhaps more recognizable industry names. The company’s approach to venture capital is different, too. “We have received offers in the past, but the timing wasn’t right,” says McFadden, who notes that the company has grown profitably since its founding six years ago. “We still see ourselves as early in the company’s development, with a lot of growth ahead.” While predecessor MCNs like Fullscreen and Maker Studios raised tens of millions of dollars before their subsequent acquisitions, Collab raised just $3 million from Altos Ventures late last year — with all of the money going toward a Collab Asia spinoff. After working with a number of foreign digital media startups that — while huge in their homelands — wanted to tap Collab’s talent to gain a foothold in the U.S., the McFaddens and company developed a firsthand knowledge of the enormous business opportunity in Asian markets. Collab Asia functions in the same way as its stateside counterpart, providing rights management and development services to roughly 500 local stars — primarily in Korea, Japan, and Indonesia. Notable talent includes Japan-based Viner-turned-YouTuber Brian Jesse, who counts 1.5 million subscribers across two channels; Korean-American vlogger TerryTV (900,000 subscribers); and Indonesian musician Heiakim, who is renowned for remixing Google Translate soundbites. While YouTube is the most integral platform to the Collab Asia business right now, Choi says Twitch is gaining steam in Korea among gamers and non-gamers alike, Indonesian comedy creators are finding massive audiences on Instagram, and the company has signed several creators who hail from Japan’s Niconico — a platform distinguished by comments that are displayed directly atop videos. Although it didn’t exactly arrive as a surprise, the downfall of Vine precipitated a major pivot for Collab. One key component of Collab’s business right now, given its proficiency within the licensing space, is managing user-generated content libraries like those of Vin Di Bona Productions, the creators of America’s Funniest Videos. Just as it did with Vine stars, Collab partners with UGC companies to help them with rights management, and also syndicates this content through its self-built channels. At the same time, Collab is acquiring tens of thousands of clips for its own UGC library — either to be repurposed into compilations or for use in advertising. In Vine’s absence, Collab has also looked to new platforms — namely lip-sync hub Musical.ly, which features a snappy format that similarly lends itself to YouTube piracy. Collab quickly scooped up a handful of top Musers, including the platform’s first breakout star, “Baby” Ariel Martin. Since signing with Collab at age 14, Martin has successfully transitioned to YouTube (with over 2.9 million subscribers), started a family vlog channel with Collab’s encouragement, made an influencer out of her brother, and is pursuing a career as an actor and singer. The network first managed every and all aspects of her professional career and still works closely with Martin on digital rights and brand deals, but she has since tapped agents and managers with additional expertise in acting and music. When your company’s mission “has always been to make the lives of creators easier,” sometimes that means bringing others in to make it happen.